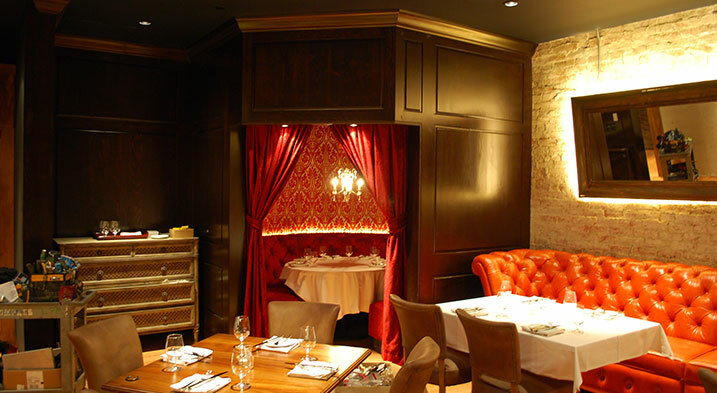 This project for the Boca Restaurant Group was to create a new Boca restaurant in downtown Cincinnati in a space previously occupied by a longstanding, but defunct five-star restaurant, the Maisonette, once considered the most award-winning restaurant in the country. The project is part of an ongoing civic effort to revitalize the downtown area, in which the Boca Restaurant Group is involved. 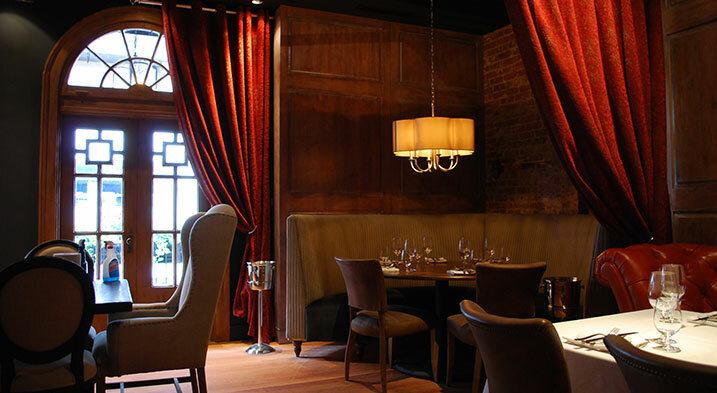 The goal was to create a warm, inviting, yet upscale dining atmosphere that looked as if it had been there for years, out of a completely empty space. This total restoration of an aged and gutted space required that we fill it with an array of amazing concepts. 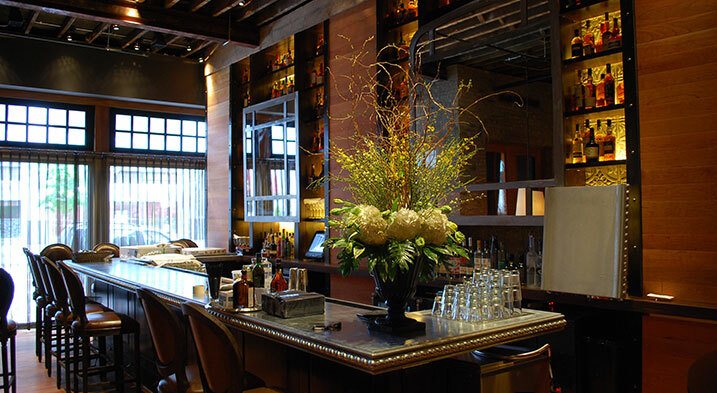 We created wall paneling and ceiling treatments using reclaimed lumber and built a new bar, with complementary shelving installations throughout the space, using wood, mirroring and raised tin panels. We provided new cabinetry for service stations and tables for the main dining area. 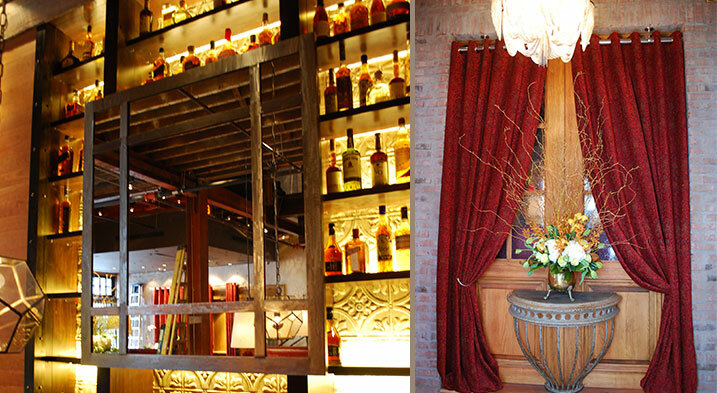 For the restaurant’s entryway, we built a lovely vestibule doors and sidelights. The overall look of the completed project is sumptuous, elegant and eclectic, combining new world aspects with the grace of a bygone era. 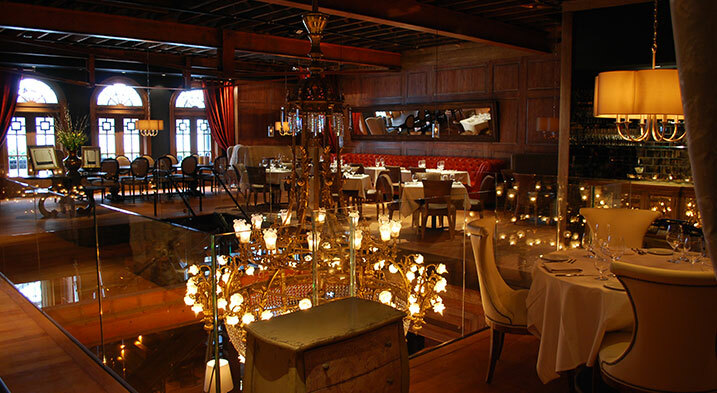 Boca is every bit the five-star interior patrons of today expect, with a nod to the luxuries of the past. The space presented some unique challenges because of the age of the structure and innovations required to make the designs work within it. 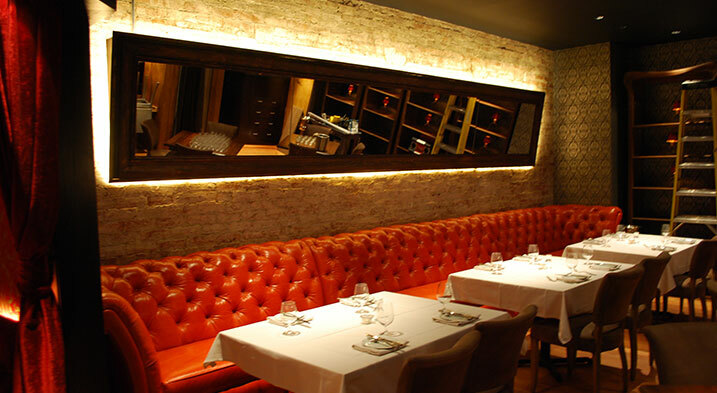 We worked very closely with the restaurant owners and the contractor to make their vision for the restaurant shine. 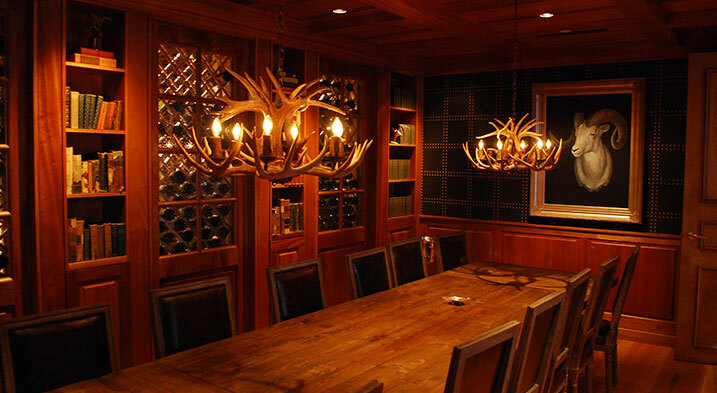 The project gave American Woodworking the opportunity to display its metal and wood design, engineering and fabrication abilities. 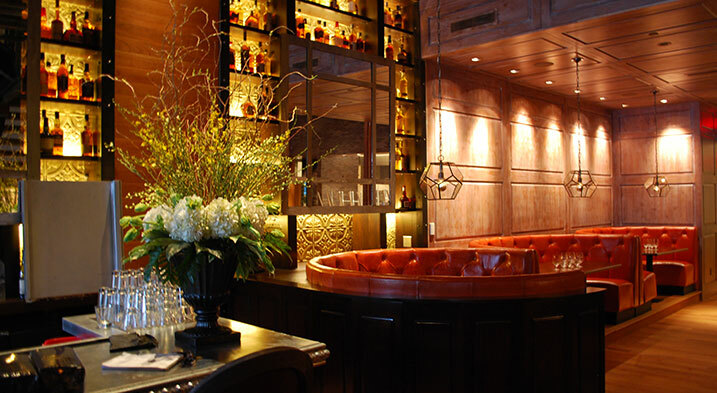 The work also challenged our finish department’s abilities in creating the specialty finishes for a lived-in patina that delivered a gracefully aged appearance to the hand-crafted restaurant detailing and surfaces. When we joined forces with the Boca Group and contractors Core Resources to complete the designs for the renovation of the once-famous Maisonette space, the project was already on a tight schedule. With a group effort between the contractor, owner and ourselves we were able to get the restaurant open on time, with all aspects of this stunning restoration finished. The experience was extremely collaborative, which made it both exciting and challenging to accomplish in the short timeframe. Because of the powerful synergy we had with our clients, this is one of our favorite properties to date.